Suffering from Insomnia? Here are 5 ways to treat it! Eating healthy is one of the nicest things you can do to your body! 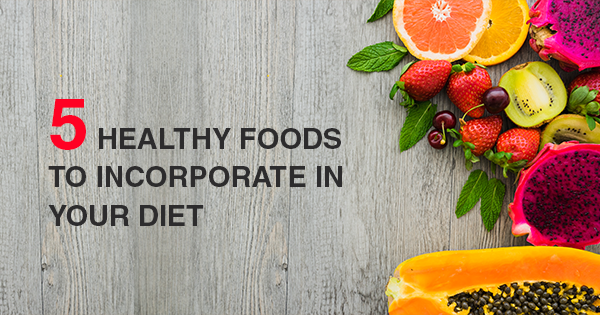 Here we bring some foods which you should incorporate into your diet for amazing health benefits! Avocados are loaded with healthy fats and have majestic benefits! Apart from being tasty, they are also rich in fiber, vitamin C and potassium. Consuming avocados not only help in lowering cholesterol, but also help in reducing arthritis pain. If you don’t like the taste of avocado, you can add it to your smoothie for its amazing health benefits. Or you can also spread it over your toast. Though this orange coloured fruit is not everyone’s favourite, but it has some amazing health benefits. Researchers also believe that raw papaya helps in maintaining blood sugar level and cholesterol. You can start your day with this healthy fruit. Or you can also add a pinch of salt over it for better taste. Yogurt is delicious as well as nutritious! If you are struggling with digestive issues, yogurt is the option you need to go for! It contains beneficial bacteria which improve nutrient absorption and enhance digestion. They are also believed to stop the growth of harmful bacteria. You can add yogurt on your sandwich instead of butter, or you can also try a yummy tart, including berries and yogurt! Majority of us go for white rice instead of brown, but brown rice has numerous health benefits compared to white. It helps in normalizing cholesterol levels & weight reduction! Also, it has lesser calories than polished white rice. If you don’t like the taste of it, you can put some sauce over it, and enjoy its benefits! The old saying ‘An apple a day keeps the doctor away’ is so true, because apples are high in fiber and other numerous antioxidants. Carry an apple in your bag while you are at work, or you can also add it in your salad. Make these foods a part of your daily or weekly nutritional regimen! Your body will thank you later! Air-borne, water-borne and mosquito-borne diseases are rampant in this season, and everyone should take proper precautions to avoid getting sick in this season! Check the water you are drinking! Go for clean, boiled water and avoid drinking regular water from cafes or anywhere you go to hang out with friends next! Always keep your mouth and nose covered with a handkerchief while sneezing. Avoid eating out as much as possible. Your body needs fresh food during this season. No matter how much you crave for pakoras and junk food, try to avoid it for some time and eat healthy! Wear full sleeves clothes as there are chances of Dengue, Zika, and Chikungunya in this season, and these mosquitoes bite only during day time. If you are traveling, don’t compromise with your health. Carry a hand sanitizer wherever you go. Don’t let your child get wet in these rains, as it contains acidic elements which can make your child get sick. If any child in your neighbourhood is sick, don’t let your child play with him/her till he/she fully recovers, as viruses can spread easily this season. Keep the nails of your little ones clean to avoid the accumulation of dirt. Ensure that your child doesn’t eat from roadside this season. If you or your loved one still catches viral infections, make sure to visit a doctor! A simple blood test can tell if you have a virus or a bacterial infection. You can also avail Oncquest’s health tests for the right treatment. The best thing is – you can easily get your samples collected at your doorstep and view the reports online. Oncquest’s hassle-free, easy and convenient service is what you should go for to keep yourself healthy this season! 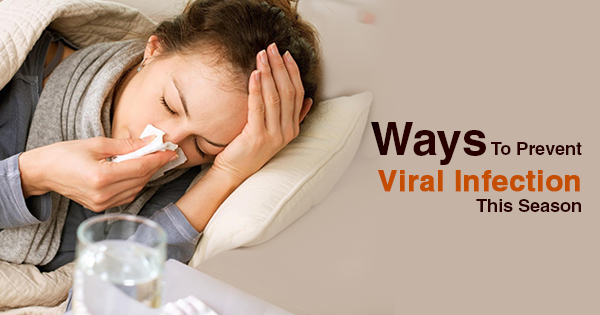 Viral fever, throat infections, cold and cough are common in this season. No need to panic, take all possible measures, and if you still get sick, visit a doctor.